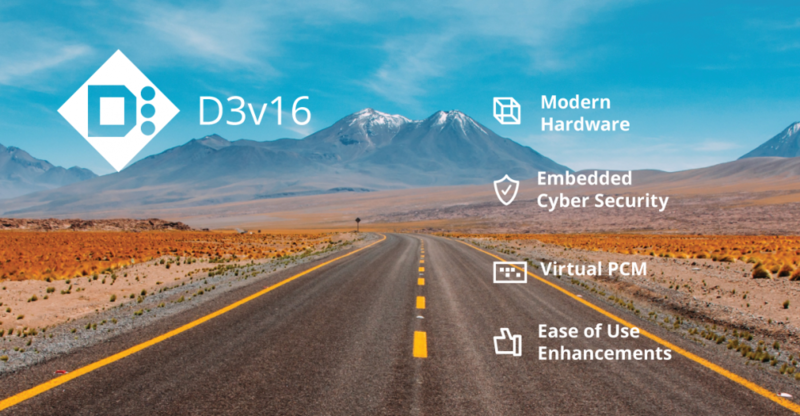 D3v16 is the first release to harness the next-generation Process Control Module 5 (PCM5) Series’ native Cyber Security and virtualization capabilities. Numerous enhancements to MDL Builder, D3Express, and other system software make it easier for users to develop control strategies and optimize system performance. D3v16 preserves existing investments while paving the way for the future. D/3 keeps automation costs at a minimum through a “No Hassle” licensing policy including unlimited users and no annual license fees, and with standard programming methodologies, embedded simulation capabilities, and the ability to modify and upgrade software without process interruption. D/3 is the only process control system to have never forced a platform migration on its end users. We’ve maintained backwards compatibility for user applications while continuously incorporating new technologies and capabilities in easy-to-manage, stepwise upgrades that can be implemented without process interruption. D3v16 provides D/3 users with a hardware-independent development, testing, and training environment. These portable and easy-to-maintain virtual D/3 Systems allow users to learn, innovate, and optimize plant operations with greater convenience and flexibility than ever before. D3v16 integrates with Pi Historian database to allow users to view, search, and filter alarm history files, find all places where a tag is used, execute runtime status reports, and display live tag data for groups of specified tags and trend groups. These groups can be saved as browser favorites on the client for quick access to the saved groups. D3v16 runs on Windows Server 2016 and Microsoft Windows 10 Long Term Servicing Branch (LTSB). LTSB is more stable over time and does not allow automatic updates as in the standard Windows 10 offering. Global automation supplier, NovaTech, LLC, announced that it will be supplying process automation equipment and services for the new Bow River Brewery in Calgary, Alberta, Canada.